The Council for Economic Education's 58th Annual Financial Literacy and Economic Education Conference is now open for registration. This year the CEE is teaming up with the California Council on Economic Education to host the event on October 4-5 at The Westin LAX in Los Angeles. Participants enjoy K-12 educator workshops, panels, exhibits, award presentations, and more! Teachers can save 10% by registering before May 1st. For more information, go to https://www.councilforeconed.org/events/cee-national-conference. 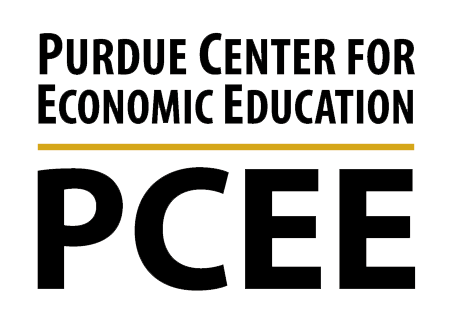 Effective February 2019, Prof. Timothy Moore has been appointed Director of the Purdue Center for Economic Education. Moore is an associate professor in the Department of Economics at Krannert. 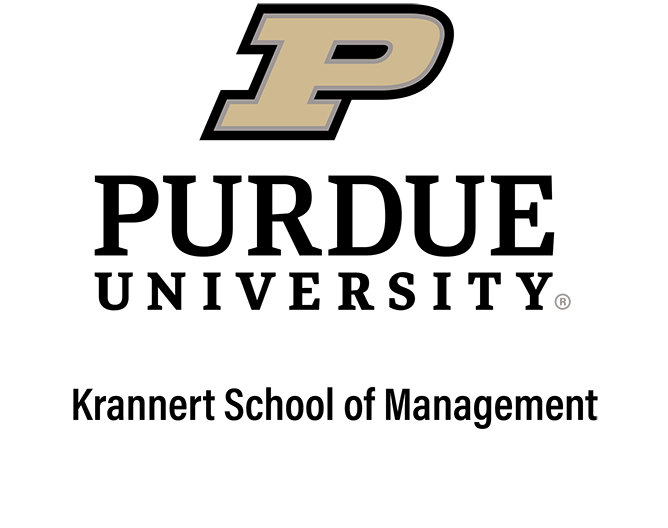 He joined Purdue University this past summer, moving from Melbourne, Australia, with his wife and young children. Moore's research is focused on public policy and health economics, including questions related to Social Security and economics of illicit drug markets. 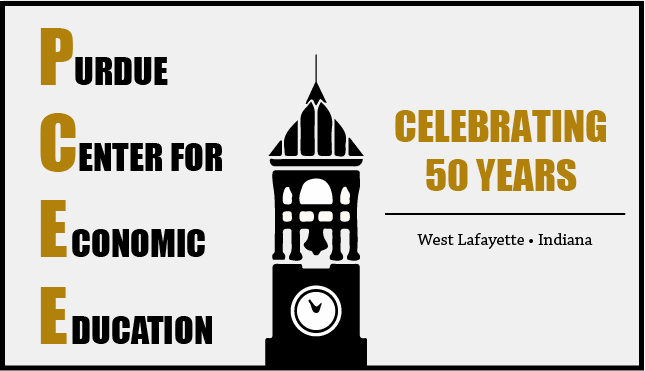 He is excited to lead PCEE to continue its legacy of improving economic literacy in schools and the wider community around Purdue. Dr. Kelly Blanchard has been appointed associate director of the PCEE. Blanchard earned her Ph.D. in economics at Purdue in 1996, and has been teaching students at Purdue for almost 20 years. As a lecturer in the economics department, she has promoted academic course transformation and continues to advance teaching and learning at Purdue as a member of the Purdue Teaching Academy. Kelly is passionate about economics education and looks forward to applying that passion to K-12 economics education in her role at PCEE. Prof. Phil VanFossen will continue in his role as Associate Director, and Jennifer Redden remains as Program Coordinator. 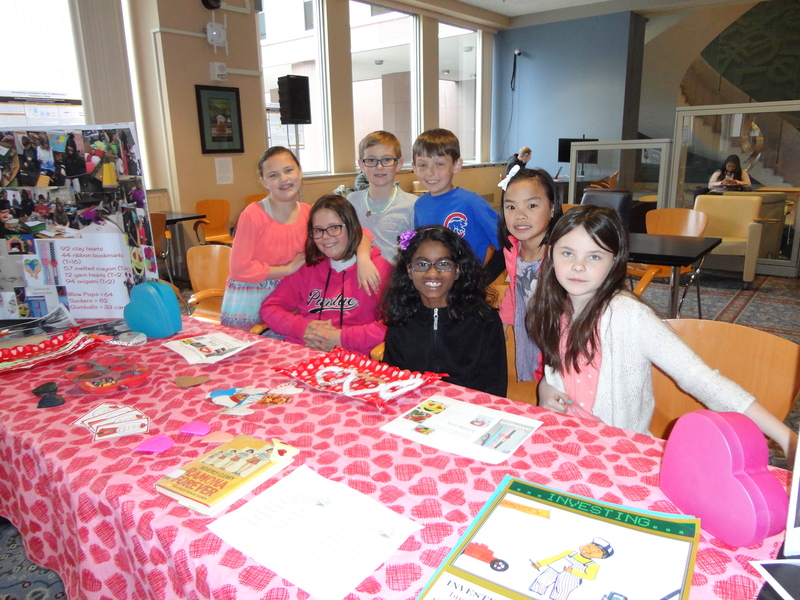 A very successful 2019 Classroom Business Enterprise (CBE) Showcase took place at Purdue University, West Lafayette, on Wednesday, April 10, 2019. Three teachers and 20 students displayed their classroom businesses, and by all accounts made a great impression on the PCEE Advisory Board members and university faculty and staff who stopped by to talk with the young entrepreneurs. The CBE Showcase at IUPUI in Indianapolis is scheduled for Wednesday, April 17. CBE Showcases allow teachers who've run a classroom business in the past year to showcase, along with a few of their students, their products and all they have learned by starting and running a classroom business. CBE Showcases are free and open to the public. For more information, click HERE to visit the CBE webpage.